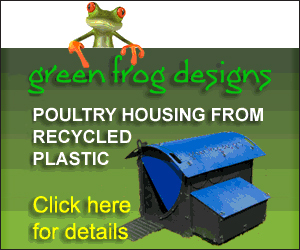 Home » » Blog » Carry on adopting …and really enrich a battery hen’s life? Carry on adopting ...and really enrich a battery hen's life? Talking to some of the ex-battery hen rehoming organisations recently it seems that, since the introduction of the new ‘enriched’ cage environment regulations on January 1st 2012, there is a common misconception that there is no longer any necessity for rehoming of commercial egg layers. Caged birds still provide around 50 percent of the eggs used in this country due in no small part to the fact that, even though we as consumers are buying free range or organic eggs, many food manufacturers still use eggs from caged birds in their products. Unfortunately, at present, without a radical change in the practice and policies of government, farmers and manufacturers it is unlikely this proportion of our egg production will be fulfilled by higher welfare methods. It’s a complex issue so for this reason this post is not intended to be a discussion on the pros and cons of differing farming methods. 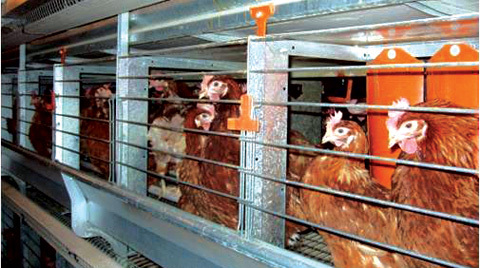 However, the enriched cage system that replaced the barren cages does still need some explanation and clarification. The first thing to note is that hens are no longer kept four to five to a tiny cage. The new colony cages contain approximately 80-90 birds, have perches, dust baths, scratching areas and separate nesting areas – they also have slightly more floor area allotted per bird. While, on the face of it, these must be seen as positive steps, they also need to be taken in perspective and, unfortunately, due to the natural ‘pecking order’ in a flock, it is debatable that more than a few high ranking individuals would get to enjoy the new facilities supplied. This means that truly natural behaviour patterns are unlikely to be achievable and the fact is that the birds coming out of these cages are generally in no better condition than those that were rescued from the barren pens previously. 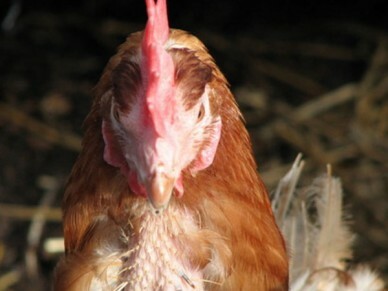 The upshot is that the rescue centres, working with caged bird farmers, are still rehoming intensively farmed hens. If you decide that you can take on some ex-caged birds contact details for rehoming societies are available here or for more information visit the Battery Rechargers website which is a forum for current and perspective battery hen owners where you will find lots of information and advice. When you collect your birds you may be shocked at the condition that they arrive in but, thankfully, the tattered look is often only superficial and a few months of care can see your birds back in full feather and looking really rather smart in their classic reddish-brown plumage. There will be those that don’t make it of course, intensive farming takes a lot out of these birds and some will inevitably not make it far beyond collection. However, the majority will go on to recover fully and can develop into healthy (remember that they will have been inoculated against all known chicken diseases), friendly – even affectionate – and characterful pets. I would be happy to hear comments on this subject from any viewpoint, please send them to me by email at the address found on the contacts page here.